First, it was this great mid-century danish lounge chair that was offered for a mere $50 when we lived out in Portland OR. The original upholstery was even in great condition - a take and enjoy type, if you know what I mean. I even went to see this in person at a thrift shop it was at and passed it by because we didn't have space or "need" it at the time. I pretty much regretted it the instant I drove away. 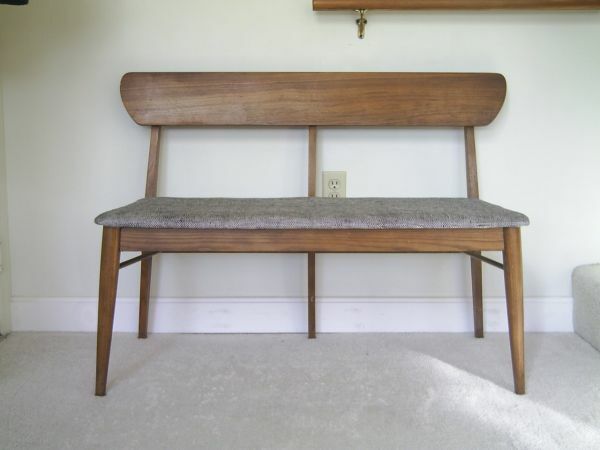 Next, it was a mid-century bench offered for a morsel at $60 and so close to our house near Boston MA. And, this time I had a spot for it immediately - it was perfect for our mudroom or entryway. To really appreciate that price you must realize that Boston is the type of place where people think that anything "vintage" or "antique" means it deserves a $400 mark-up. This was a total SCORE...for somebody else. I was 2nd in line, just in case the other guy didn't like it - really?!?!? Well, I don't know if it's me and mid-century modern furniture, or if it's just bad luck with Craigslist seating. I tend to do well with other things I've found on Craigslist (i.e. the finds and subsequent DIY projects here, here, here, here, here, and here). On that note, I kinda admit that I have a Craigslist obsession after finding all those "here's" in my blog roll. 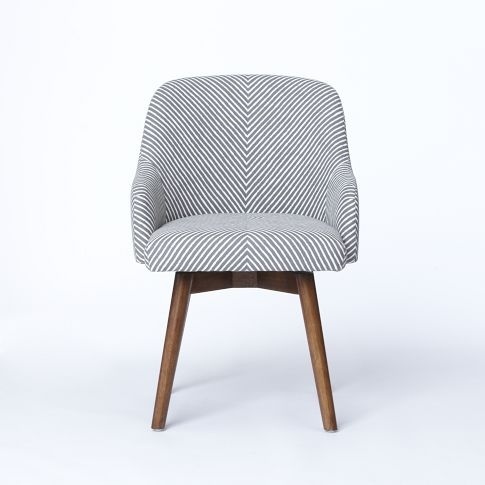 After venting the Craigslist angst, now I digress to sharing my Chair Envy when it comes to another mid-century modern chair that I love that's totally out of my price range - the new (and almost sold out) Saddle Office Chair from West Elm. The gray! The white! The walnut stain! 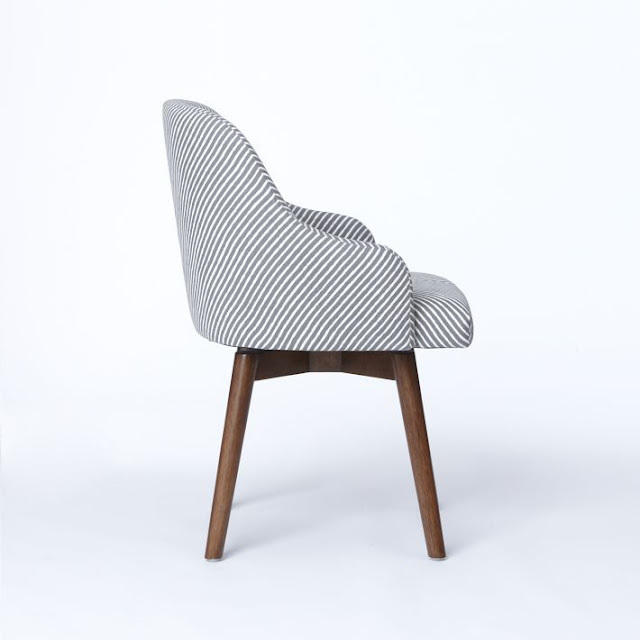 The large diagonal, chevron-esque stripe! That's right, I can't even get a mass-produced gem to work for me. At $350, it would be WAY too much, even on sale for 50% off....which doesn't happen at West Elm. 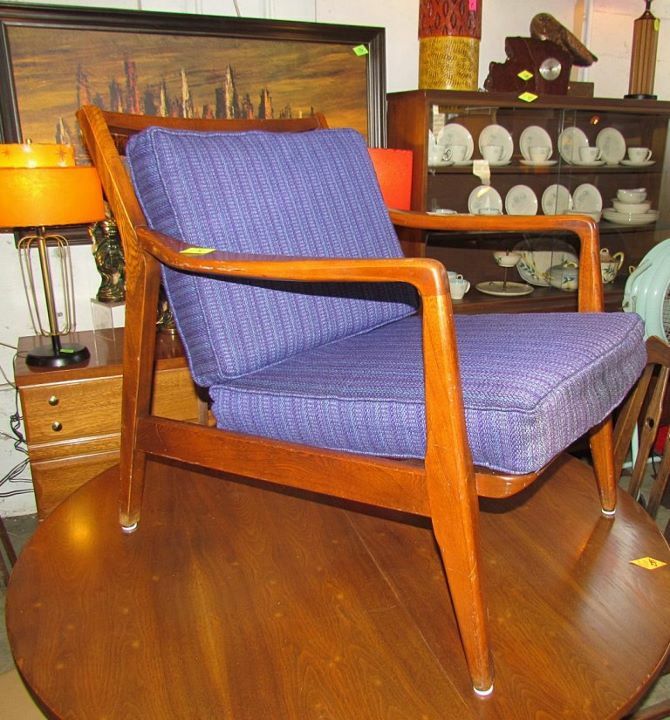 Someday my mid-century modern chair-prince will come. Hopefully very cheaply on Craigslist vice a West Elm splurge...but honestly, I'd take either, or both, or all. :) Any one else have a similar "thing" for some home furnishing item? Make me feel better, please. Do share. Love Love Love the bench! nice find.